Yeouido Park is a perfect place to enjoy in-line skating. 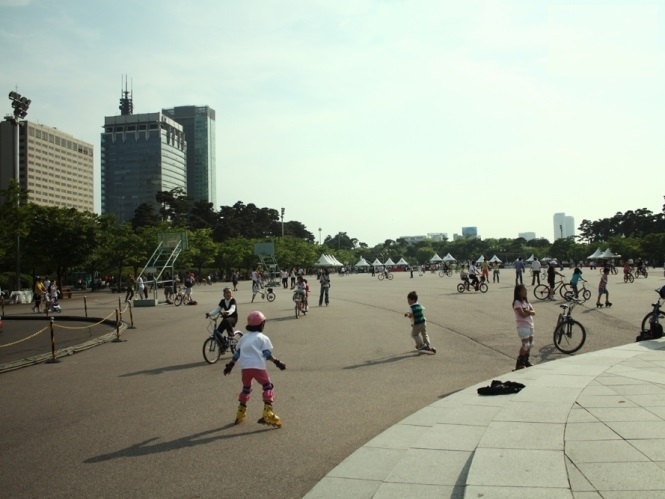 People can ride on the bicycle road around the park, and it is easy to approach to the Han River road. There is a plaza and it is suitable for the beginners to practice in-line skating. No business on rainy days.